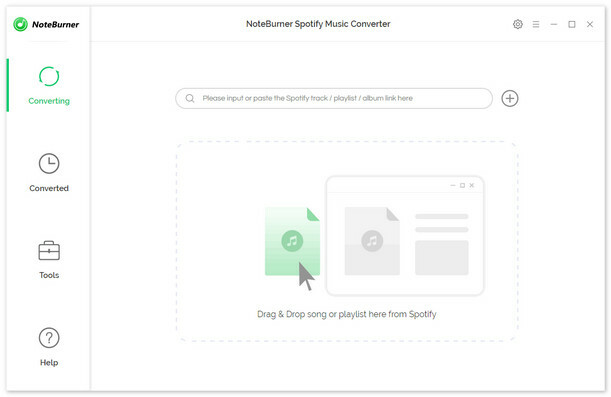 NEW YORK, March 28, 2018 -- On March 16th, 2018, NoteBurner Inc., a reputed company in providing DRM removal solutions to customers worldwide, officially introduced a new member to its DRM removal family, that is, NoteBurner Spotify Music Converter for Windows/Mac. Now with the wonderful DRM removal tool for Spotify music, Spotify users with no matter Free or Premium subscription could easily convert any Spotify song, album, or playlist to plain MP3, AAC, WAV or FLAC format, and enjoy them on any media players and devices as they prefer. For those who want to enjoy Spotify music on more devices, the Spotify Music Converter for Mac/Windows would be a must try for all those users who wish to remove DRM from Spotify track. It is built with advanced decoding technology and compatible with both Windows and Mac, and via this converter you can perfectly convert DRM-ed Spotify music to plain MP3, AAC, FLAC or WAV format. The real handy part about this removal is that it will help you download DRM-free Spotify music at with keeping 100% lossless quality. In this case, users can get rid of the restriction of DRM, enjoy the Spotify music on any of their device offline, such as car player, AAC compatible player, iPhone and so on. NoteBurner Inc. is a professional multimedia software developer dedicated to providing the best DRM removal solutions and services, including both Mac and Windows versions of iTunes DRM Audio Converter, Spotify Music Converter and M4V Converter Plus to customers throughout the world. As a reliable DRM removal solution provider, NoteBurner promises to offer free lifetime software upgrade and prompt online support for users.